Charles Spurgeon has been called the “Prince of Preachers”. He preached to over 10 million people in his lifetime, and his written sermons have impacted millions more since then. The Spurgeon Study Bible Notes feature thousands of excerpts from Spurgeon’s sermons, chosen and edited by Alistair Begg in order to bring the richness of the Prince of Preachers’ insights into your daily study of God’s Word. Topical subheadings, concordance, full-color maps, and more. 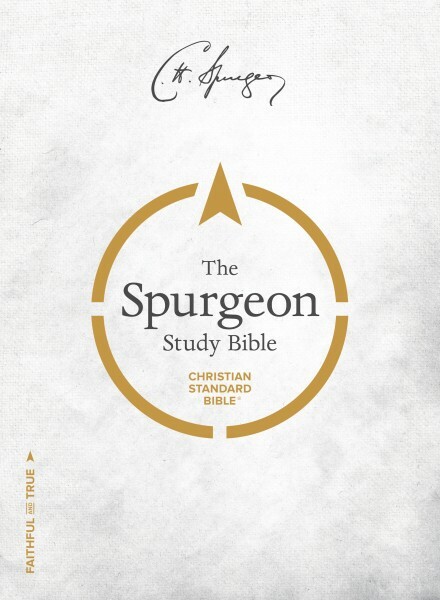 NOTE: The Spurgeon Study Bible Notes product only contains the Spurgeon Study Bible Notes. To purchase the Christian Standard Bible (CSB) text go here.